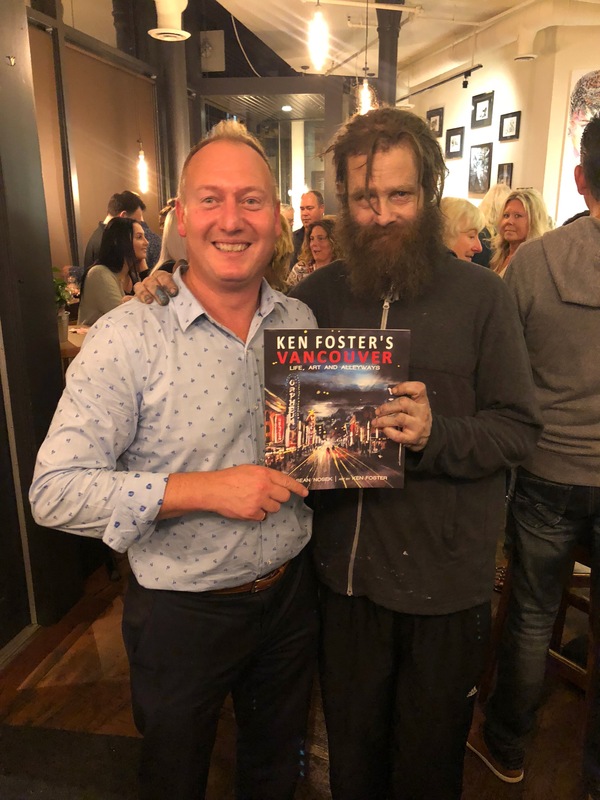 In Ken Foster’s Vancouver, author Sean Nosek takes us deep inside a world of addiction, poverty, and homelessness to reveal the fascinating life and art of Ken Foster, one of Canada’s most prolific and exciting artists. 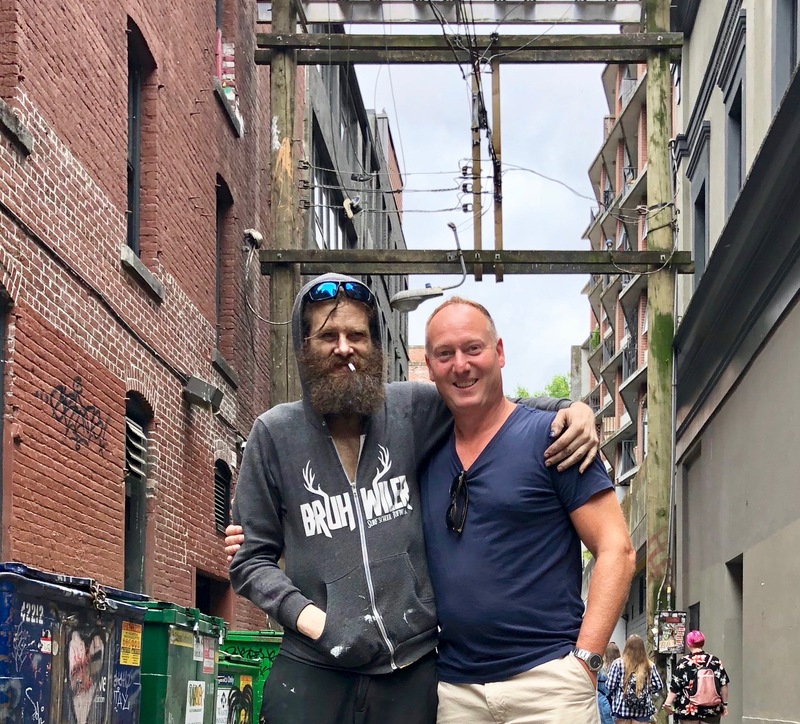 Set on the edge of the infamous Downtown Eastside, Foster’s story is both compelling and heart wrenching. The crown jewel, of course, is the collection of Foster’s art showing his evolution as an artist with many never-before-seen pieces. 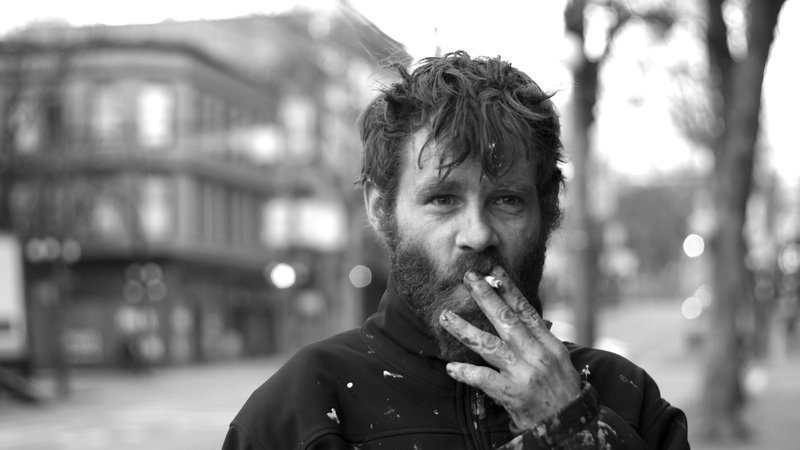 Ken Foster paints downtown with grit and ecstasy. And that’s the way it is. 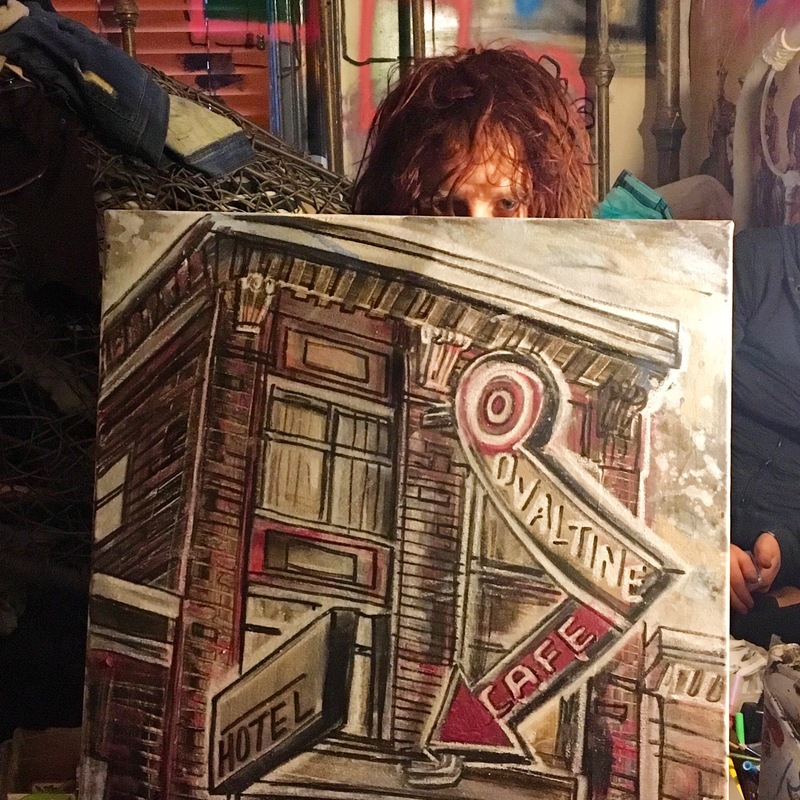 Sean Nosek sought out the artist in his single-room-occupancy hotel on Skid Row and uncovered the story of Foster, a man driven to paint. Terrific paintings, compelling story. -Robert Amos, Ormsby Review, Author of BC Bestseller E.J. 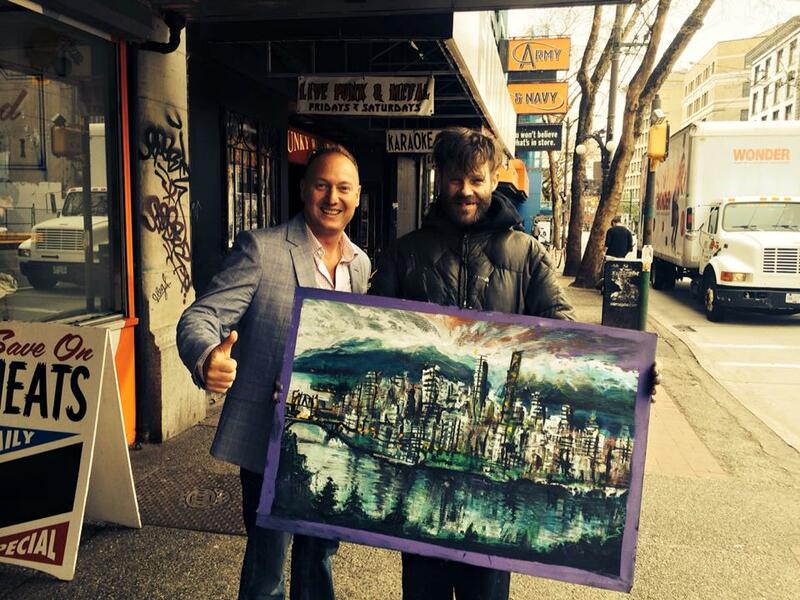 Hughes Paints Vancouver Island. 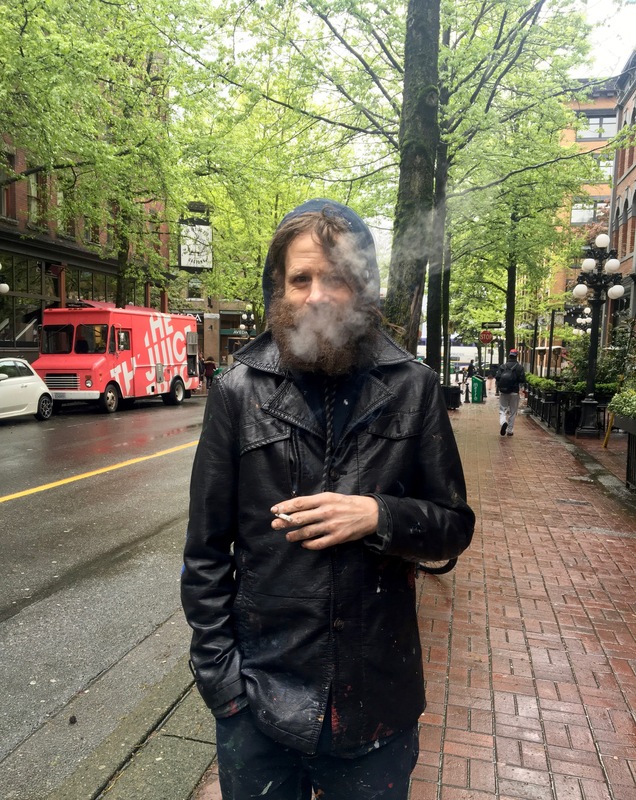 Former art writer for the Victoria Times Colonist. 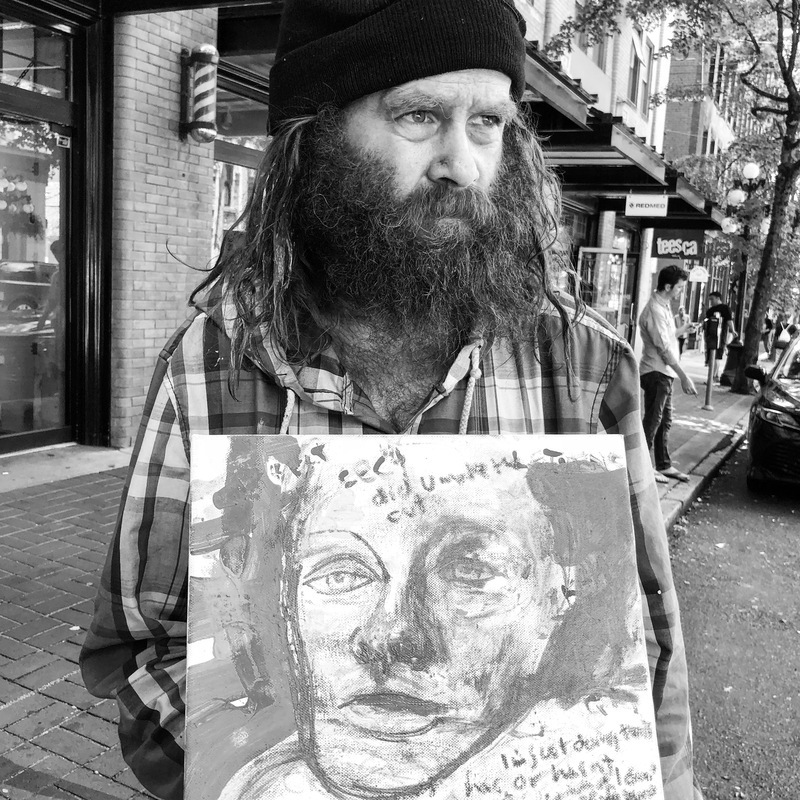 Alongside Foster's artwork, Nosek paints a touching portrait, not of a victim, but of a rebel. 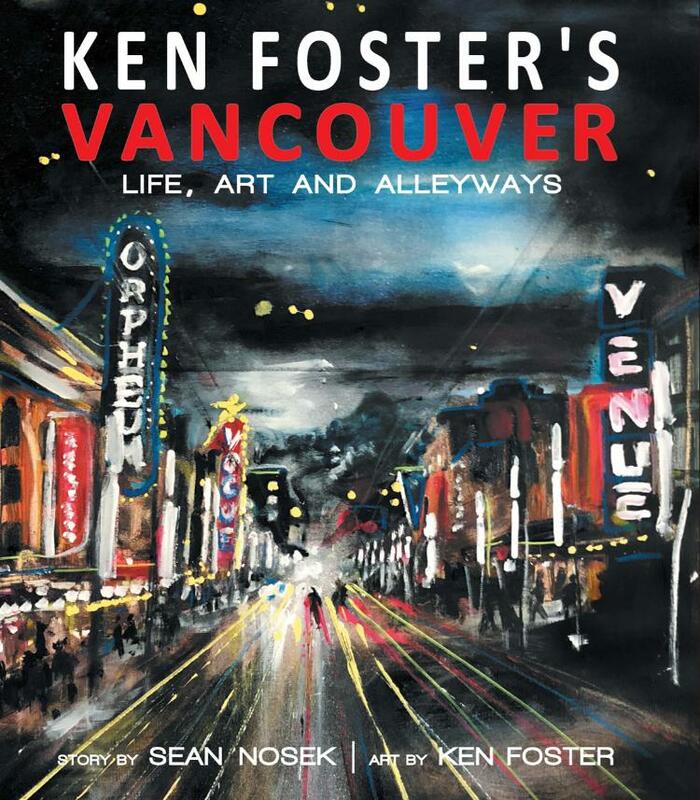 Observe Vancouver through the lens of prolific artist, Ken Foster. Sean Nosek does a superb job as sage story teller, art aficionado, and trusted friend. This beautiful book would make a lovely gift for friends and family. Displaying this book in your home is sure to be a conversation starter as Foster and Nosek juxtapose Vancouver’s natural beauty with its inherent urban (and often dark and gritty) landscape.